Cyrano is cursed with a prominent nose but gifted with words. He uses this talent to help handsome Christian win Roxane’s heart, whom he also loves... “When we, comedians of la Comédie-Française, stage plays, we consciously feel this desire to show off this theatre of ours, to show everyone why we love it and why we want to be here.” With these words in mind, award-winning director, stage and cinema actor Denis Podalydès takes over the historical stage. 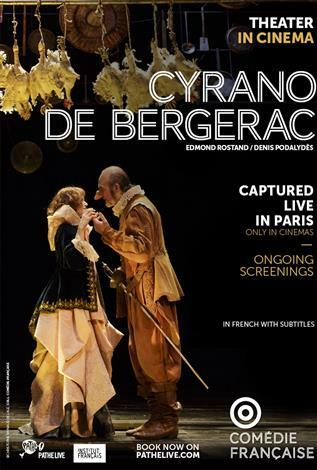 Opera buffa, tragedy, romantic drama, symbolist poetry, slapstick comedy… all genres are called upon to give life to this staging of one of the most emblematic texts of the French repertoire!